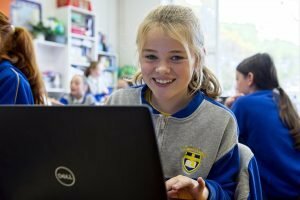 The Computer Studies class in the Junior School introduces all our students from K A to Class 6 to the safe and creative use of digital technologies. The students learn to use the keyboard and the mouse pad and are then introduced to Word Processing and Presentation applications, to Coding and to using the Internet. 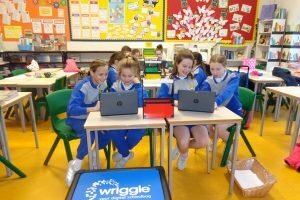 We are currently developing a Digital Learning Framework which will see the computers used in the classroom on a regular basis. This will encourage students to use the skills learnt in the specialist Computer class to enhance their learning experience across all lessons. 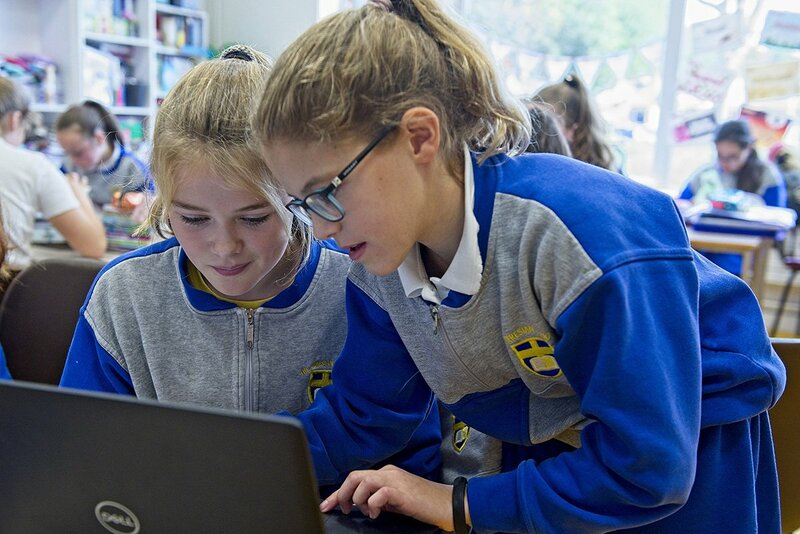 Gill Doherty has a background in IT and several years ago trained as an IT teacher. She has taught all age groups, giving group and individual tuition. The students love Computer class as it allows them to improve their technical skills while working collaboratively and creatively.